Have you ever identified yourself – traits and characteristics – with a certain animal, be it a bird, a lion or perhaps even a bear? Have you perhaps ever found that you and an eagle have more in common and are extremely drawn to the creature, feeling the need to know everything about it? If this happens to be the case, then perhaps an eagle is your spirit animal. But what exactly is a spirit animal – you ask? A spirit animal can mean different things to different people. For some, it is a sort of totem – one that guides and protects you through life. For others, it is the form of an animal that represents you the best, perhaps one you’ve encountered on a wildlife safari! There are many ways for one to discover their spirit animal – it can be as simple as finding an animal that they identify with the best to as complicated as going on a Spirit Walk, a ritual commonly practised among Native Americans and Aboriginal people. 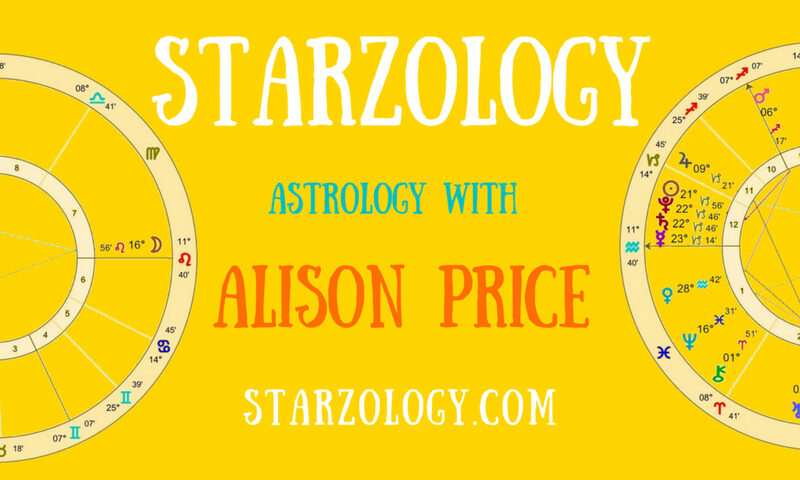 Another way of discovering your spirit animal is through understanding your astrological sign. To help you discover yours, we’ve round up the astrological signs and identified a spirit animal that matches each sign. Keep in mind though that it may well be completely different from the one that we’ve identified for you. But these spirit animals sure do come close! Aries, being the first sign of the zodiac, represents energy as well as turbulence. An Aries is always in search of speed and competition. It is considered one of the most active zodiac signs and is known to be headstrong and brave. The Aries are known as natural born leaders and independent beings but are also known to be egoistic and sometimes impulsive. Aries’ spirit animal is the cheetah. Known as the fastest land animal in the world, the cheetah’s need for speed matches that of an Aries. Speed is essential to the cheetah, as it needs to kill and eat its prey quickly before its kills are snatched away by bigger and more aggressive carnivores. These solitary animals are independent, with female cheetahs raising their cubs on their own for a year before their young journeys off on their own. Did You Know: The cheetah has an average of between 2,000 to 3,000 spots on their body that helps them camouflage in the wild! The Taurus is known for being faithful, loving and extremely affectionate. Their steadfastness makes them extremely dependable and trustworthy. However, the Taurus is also extremely stubborn and inflexible. They are averse to change, making it sometimes difficult to work with them. While some may say that the Taurus’ spirit animal is the bull, as seen in its astrological sign, another potential spirit animal may also be the polar bear. Polar bears are the largest land carnivores in the world. They are patient and strong – allowing them to withstand extreme weather conditions in the Arctic. Like the Taurus, they can be aggressive when provoked. Did You Know: Polar bears are actually black! A polar bear’s fur is actually translucent and only appears white because it reflects light. Just like the twins in the astrological sign, there are many faces to a Gemini. On one hand, the Gemini people are intelligent and adaptable to situations. They are curious and inquisitive beings that are always ready to learn new things and experience new environments. On the other hand, Gemini are also known to be superficial, forming opinions without having an in-depth understanding of the situation. A reflection of the typical characteristics found in Geminis, the fox is also clever and witty. The curious nature of the fox leads it to roam and investigate its surroundings. The fox is also energetic and quick on its feet but can sometimes be impulsive and devious. Did You Know: The arctic fox is known to be able to handle the cold far better than most animals. It is able to withstand the cold up until -70 degrees Celsius! Cancers are perhaps the most intriguing of the horoscope signs simply because it is naturally reserved. Individuals born under the Cancer sign are intuitive and sentimental. They are family-driven, sensitive, emotional and sympathetic. While it is difficult for a Cancer to open up to others, they are very attached to those they are close to. They will generally lend a helping hand to others in conflict but are just as quick to avoid any kind of conflict. Aside from the Crab, which is the Cancer’s sign, those born under the Cancer sign can also closely identify with the tortoise. Tortoises retreat into their shell when in unfamiliar surroundings and will only emerge once they feel safe. These gentle beings are emotional yet wise. Did You Know: Many tortoise species outlive humans, but the Giant Aldabra tortoise has one of the longest lifespans of up to two centuries long! Natural born leaders, Leos are typically confident, dominant and strong. Those born under this astrological sign are usually outgoing and thrives in a social setting, where their friends are many and loyal. Leos are also known to be generous and often possess a good sense of humor. However, they can also be stubborn and arrogant. When left unchecked, Leos can become self-centered. The spirit animal of a Leo is, without a doubt, the lion – king of the jungle. Just like the Leo, lions are dominant and strong and leaders of the pack. Male lions are also often lazy, allowing the females to do the hunting while it waits for its meals. Did You Know: The lion is a member of the Big Five and thought to be the most powerful creatures in the animal kingdom. Details are very important to Virgos. Being the most careful sign in the zodiac, Virgos have a keen eye for detail, and as such, approach everything from an analytical manner. Virgos prefer structure and values practicality in their daily lives. Virgos are often introverted and shy but are fiercely loyal. Mandrills make the perfect spirit animal for Virgos due to their inherently shy nature. Much like the Virgo, mandrills are beautiful creatures with blue and red skin on their faces. Like most primates, mandrills live in troops and prefer the company of their family, where they feel most secure. Did You Know: While mandrills’ long canine teeth can be intimidating and may look aggressive, baring them among themselves is a friendly gesture instead of a threatening one. Just like the scales of their sign, Libras love justice and equality. They are great team players, valuing partnership and cooperation above all. Libras don’t enjoy being alone and will always opt to work in pairs or groups. The Libra’s spirit animal is the gray wolf. Similar to the Libra, gray wolves are loyal creatures that live in packs of 7 to 8 animals. As a pack, gray wolves develop strong social bonds and work together for food and shelter. Did You Know: A single wolf can eat up to 9kg of meat in one sitting! Scorpios are resourceful, determined and goal-oriented individuals. Scorpios make great leaders as they are dedicated to what they do and will work relentlessly to achieve their goals. On the flip side, Scorpios can also be jealous and violent when they feel they are threatened. The African Elephant is the Scorpio’s spirit animal as, like the Scorpio, the elephant is intelligent and resourceful, using its natural surroundings to its greater advantage. However, threaten an elephant and they aren’t afraid to show force and display physical aggressiveness. Did You Know: African Elephants retain excellent memory that is pertinent to their survival in the wild. They are able to recall water sources even if they are located a great distance away. Want to get up close and personal with this majestic and intelligent creature? There’s no better way to do so than to go on an Elephant safari in Africa! The Sagittarius has a need for freedom, which makes it the most well-travelled sign among the zodiacs. Extrovert and optimistic, Sagittarius embraces change and enjoy discovering new thoughts and philosophies. However, their thirst for freedom also makes them impatient and tactless in certain situations. A Sagittarius can best identify with the Przewalski’s horse. Known as the last surviving subspecies of the wild horse, the Przewalski’s horse was never domesticated and can be found gallantly roaming the plains of Mongolia. Did You Know: The Przewalski’s Horse was once considered extinct, with its last sighting in the wild in 1969. Intense conservation programs have resulted in a healthy population of Przewalski’s Horses being introduced back into the wild. Capricorns are grounded, responsible and self-disciplined. Often seen as very serious by nature, Capricorns make great managers as they are practical and make the best out of the circumstances they are given. However, their grounded and disciplined nature may also make them somewhat distant and unforgiving. Though considered one of the smaller species of African wildlife, the elephant shrew is very hard working. They work together with their mate to defend their home territory. Elephant shrews are very seldom seen and are difficult to trap. Did You Know: Despite its small size, elephant shrews are not classified with shrews, but instead are considered more closely related to the elephant! Aquarius-born are highly intellectual individuals and deep thinkers. They are sometimes shy and quiet but also energetic and eccentric. Aquarius enjoy their time alone from everyone and uses it as a time to refresh and re-energize. Because of their high intellect, Aquarius needs mental stimulation – without which they will quickly find boredom and a lack of motivation. Like the Aquarius, dolphins are extremely intelligent and sensitive beings. They are playful and enjoy being of assistance to others. Dolphins are agile and very energetic. They enjoy being part of a group and strive to be around company. Did You Know: Dolphins sleep with only half their brain. The other half remains alert to keep them safe from predators and to enable them to breathe while in a slumber. The compassionate Pisces is often known as the most tolerant of all zodiac signs. Pisces are gentle and friendly beings, known to always lend a helping hand to others. They are very intuitive and wise, but at the same time can be overly trusting and fearful. Pisces’ spirit animal is the seahorse, known for its gentle nature. Pisces are also romantics who are loyal and generous in relationships. So a relationship like that of seahorses that mate for life, and hold tails when travelling, may be most appealing to the Pisces. Did You Know: Despite being a fish, seahorses aren’t particularly good swimmers. They prefer resting in one area, holding onto the same coral for days on end. Find out more about our Writer’s Guidelines for Guest Posts and be our next Starzology Guest Writer. We’d love to hear from you.